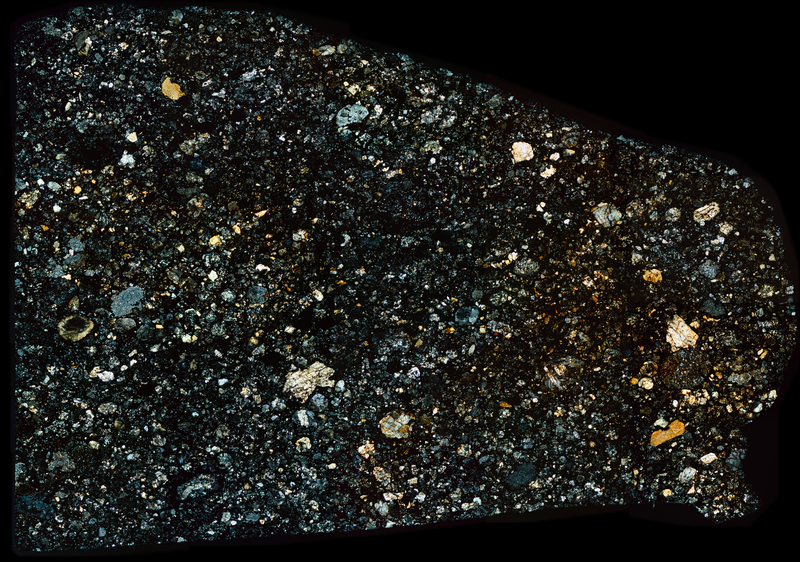 Northwest Africa 8345 Meteorite thin section in cross polarized light. Type CO3.2 with some interesting inclusions scattered randomly and also in the bottom left. There are lots of fascinating details when you spend time looking in detail at the structures.